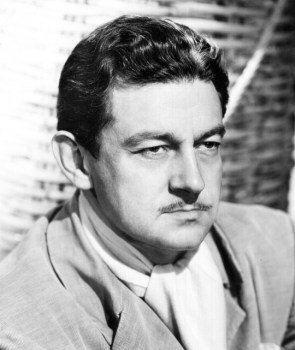 Preston Sturges Preston Sturges was a playwright, screenplay writer and film director who created a formidable reputation as one of Hollywood's most innovative creative thinkers. He has still such an immense reputation that it is easy to forget that he was at the top for only a few scant years as the wonder man of Paramount Pictures, during which time out of only 14 movies in total, he turned out such classics as 'The Great McGinty 'and 'Christmas in July' in 1940, 'The Lady Eve' and 'Sullivan's Travels' in 1941, 'The Palm Beach Story' in 1942, and 'The Miracle of Morgan's Creek' and 'Hail the Conquering Hero' in 1944. And that was after ten years of screenwriting. Sturges's movies were not always big money makers, but he was Paramount's prestige filmmaker and the darling of the critics. His approach combined sophisticated comedy with slapstick, and his hard-edged cynicism combined with a streak of morbidity, and was often undercut by surprising evidences of sentimentality. Sturges tended to favor long takes, often achieved with a moving camera, to integrate characters into their surroundings. His most personal movie and probably his best work,'Sullivan's Travels', combined his typical comedy and brilliant comedic dialogue with more serious themes, all the while lampooning his own desire for those themes. He was born Edmund Preston Biden on 26 August, 1898, into a well-to-do family in Chicago, Illinois. His father was a salesman and his mother ran her own cosmetics shop. His parents separated when Preston was three years old and his mother, a well known eccentric, moved to Paris to follow a singing career. His mother married Solomon Sturges, a Chicago stockbroker, in 1901, and the following year he adopted Preston, who thereafter was called Preston Sturges. During his youth Preston travelled the Atlantic several times, staying with each parent in turn. Whilst with his mother he met her close friend Isadora Duncan and worked as a stagehand for her. After attending the Harvard School in Chicago, Preston was sent by his mother to private schools in France and Switzerland. With the outbreak of the First World War in Europe he returned to America and began working firstly for a branch of the cosmetics business which his mother had started and then a runner for a Wall Street brokerage firm. In 1917 when the United States declared war on Germany he enlisted in the Aviation Section of the United States Army where he trained as a pilot. After 2 years he was discharged with the rank of Second Lieutenant. He rejoined his mother's cosmetic firm, now called "Maison Desti" and stayed there until 1927, during which time he dabbled in amateur inventions including kiss-proof lipstick. In 1927 his mother returned to America to take up the reins of her business. Preston was happy to leave to get married to Estelle De Wolfe and it was at this time that he began writing plays. In 1928 he wrote 'The Guinea Pig' and after it opened successfully in Massachusetts, it was moved to Broadway the following year and ran for 57 performances, no mean achievement for a novice playwright. Even greater success came with his second play, the comedy, 'Strictly Dishonorable' which opened in September 1929 and ran for 16 months earning Sturges a great deal of money, which over the following two years he ploughed back into three more of his plays, backing his own writing skills. It didn't work. The three new plays were failures but by then, at the end of 1932 Sturges had responded to interest from Hollywood and he began working on short-term contracts, writing screenplays for various studios. Sturges spent the 1930's working as a writer-for-hire, penning a number of outstanding screenplays like Easy Living and Remember the Night.As a freelance writer he wrote a screenplay called 'The Power and the Glory' which he sold to Fox studios who filmed it with Spencer Tracy as its star. When Sturges was on set watching his screenplay being filmed he noticed the authority which the director wielded, which was considerably more than the writer's. From that time on he formed the ambition of becoming a movie director. It was to be eight years before he would be given the chance. Between 1933 and 1938 Sturges worked as a writer-for-hire, earning a lucrative living swapping between Universal, Columbia, Paramount and Sam Goldwyn, and finishing the period under contract to Paramount. During this time he gained considerable experience writing and co-writing screenplays for movies such as 'Thirty Day Princess' and 'We Live Again' in 1934, 'Diamond Jim' in 1935 and 'Hotel Haywire' and 'Easy Living' in 1937. In 1939 he accomplished his objective of directing his own movie when Paramount agreed to let him direct 'The Great McGinty' in exchange for a token $1.00 payment for his screenplay. He had actually written the script six years before but no studio had been interested. 'The Great McGinty' earned Sturges an Oscar for its screenplay (the first year that this Award had been made), and the movie, a comedy satirising the American political system, was a great financial success. Sturges had staked all on his first directorial effort and his unusual $1.00 deal paid off handsomely. The next few years would be his most creative and successful period as he went on to become one of the first great writer/directors. In 1940 he wrote and directed 'Christmas in July' and the following year went on to write and direct the hit romantic comedy, 'The Lady Eve' brilliantly using the onscreen chemistry between stars Henry Fonda and Barbara Stanwyck. Also in 1941 Sturges wrote and directed 'Sullivan's Travels', his most successful movie and the one for which he is best remembered. 'Sullivan's Travels' is a cynical, tragi-comedy, taking an extremely funny look at the absurdities of American life. The eponymous hero, played by Joel McCrea is a movie director and the film is Sturges's most personal statement. Sullivan takes a journey into the underbelly of American life and what he finds is deeply disturbing. Unintentionally he finds himself banged in jail and he discovers that there are two Americas, each cut off from the other. Sullivan eventually learns his lesson from his experiences - humor, even lowbrow humor, is more important to people than unnatural profundity. Sturges's wonderful script knits together slapstick comedy, melodrama, and social commentary in a remarkably original and entertaining way. It is Sturges's masterpiece. Sturges continued his masterly run of successes in 1942 when he wrote and directed 'The Palm Beach Story', starring Joel McCrea again, with Claudette Colbert and Rudy Vallee. The movie satirises business and the pursuit of wealth. Two movies which Sturges made in 1942 were released in 1944, 'The Great Moment', one of his few disappointing efforts from this time, and 'The Miracle of Morgan's Creek', which takes a cynical look at motherhood, patriotism and religion. He was nominated for the Original Screenplay Oscar for this and also for 'Hail the Conquering Hero' which he wrote and directed in 1944. In just four years Sturges had taken the movie world by storm and he had become not only the highest paid screenwriter in Hollywood but also one of the highest paid people in the whole of America. At this point he looked to become independent of Paramount whose executives had been putting pressure on him to tone down the content of his recent movies and had actually changed some of them. In 1944 Sturges went into partnership with the millionaire financier, oilman and movie mogul, Howard Hughes, to form an independent film company called California Pictures Corporation. Thus Sturges became the first writer/producer/director in Hollywood. It proved not to be a good move and Sturges's career faltered and never recovered. After an ill-fated attempt to revive Harold Lloyd's career with 'The Sin of Harold Diddlebock' in 1947, Sturges had a serious falling out with Hughes. He returned to form with the exceptional black comedy 'Unfaithfully Yours' in 1948 at Twentieth Century Fox, which is now regarded as one of his best films but which on release, failed at the box office. Sturges made the Western parody 'The Beautiful Blonde from Bashful Bend' in 1949 for Fox, starring Betty Grable. It was his only film made in color and it proved to be another box office failure, all but finishing Sturges's movie career. He made only one more movie, another failure called 'The Diary of Major Thompson', released in America as 'The French They Are a Funny Race' and wrote several scripts which remained unmade. His star had risen and fallen. Sturges was renowned as a womaniser and his name was linked with several actresses. He married four times. His first marriage was in 1923 to Estelle deWolfe Mudge. They divorced in 1928 and Sturges was then married to Eleanor Close Hutton from 1930 until the marriage was annulled two years later. His third wife was Louise Sergeant Tervis whom he married in 1938, divorcing in 1947. The marriage produced one son, Solomon. His fourth marriage was to actress and lawyer, Anne Margaret "Sandy" Nagle, which lasted until his death. She was the mother of his two younger sons, Preston Jr. and Thomas. In 1959 Sturges accepted a commission from the publishers Henry Holt and Company to write his autobiography. He set up residence in The Algonquin Hotel in New York and began work. Before he could finish he died of a heart attack on August 6th, 1959. He was aged 60 years. The working title for his autobiography was "Events Leading Up To My Death". It is amazing to think that Sturges's reputation rests on so few films in such a short period of time. In that golden creative surge between 1940 and 1944 Sturges showed himself to be one of the great creators of Hollywood comedy. His wonderfully screwball films are still funny today and it is our loss that his talent and energy seemed to run out by the end of 1944. But by then Sturges had given us seven classic movies to savour, from 'The Great McGinty' in 1940 to 'Hail the Conquering Hero' four years later. His satire of American society, politics and business was biting and cynical and his plots were artfully created but he retained the audience's attention and made them laugh and laugh. He still does.